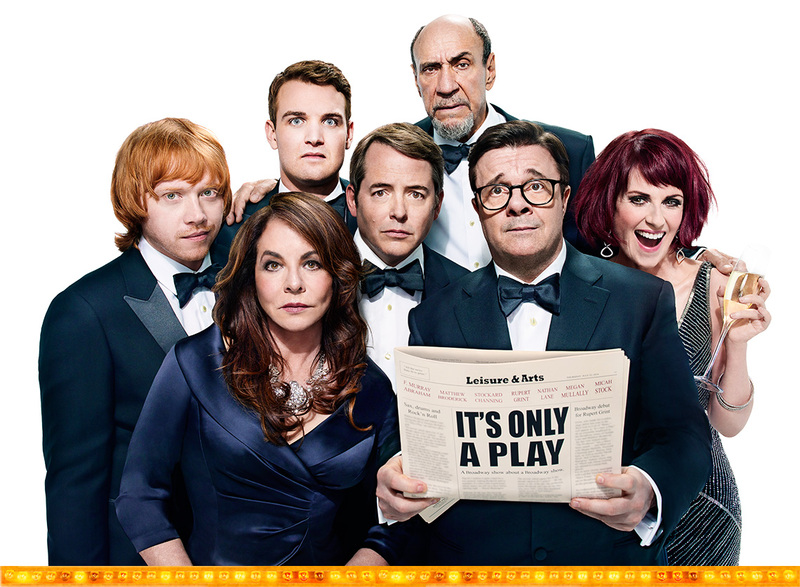 Above: The all-star cast of “It’s Only A Play.” Stock Photo. Broderick and Lane are also joined on stage by a great comedic ensemble. Stockard Channing, who played Rizzo in the film “Grease,” Megan Mullally from the show “Will & Grace” and Academy Award winner F. Murray Abraham return to Broadway in this show. “Harry Potter” actor Rupert Grint and relative newcomer Micah Stock round out the cast in their Broadway debuts. “If you’ve never been to an opening night party of a Broadway show, then you haven’t lived,” Abraham joked to Broadway.com. Grint spoke to Broadway.com about his involvement in the play and how it is working with some current Broadway legends. While most people go to the theater to have shows take them away from the world, one will notice that there are not many shows about the theater. Though, people will enjoy seeing this show because it is like a reality television show for theater. Since its opening, the show has been doing remarkably well and has been close to selling out most of its performances. Unfortunately, those who want to see the show will have to go soon as it has a limited run. The final curtain will fall on Jan. 4. The Gerald Schoenfeld Theatre in New York City is presenting the show with tickets starting at $72.